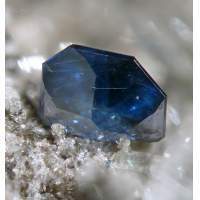 In response to demand for hands-on training in state-of-the-art techniques in the mineral sciences, the Mineralogical Society has launched a series of workshops that will take place at various research institutes around the UK. It is hoped that these courses will be of value to postgraduates as part of their ‘skills training’ for their degree course and for others as part of their Continuing Professional Development (CPD). Full-time NERC PhD students may be able to apply for a bursary from their departments to attend this course. Electron Probe Microanalysis (EPMA) in the Mineral Sciences (Natural History Museum, London).